GSTR 2A reflects all the purchases made by a taxpayer during a particular period, as filed by its suppliers. The details appearing in GSTR 2A are auto-populated from the GSTR 1 filed by the all the suppliers of the taxpayer. Reconciliation of GSTR 2A and the purchase data has to be done by the GST registered businesses for the purpose of claiming maximum eligible ITC. 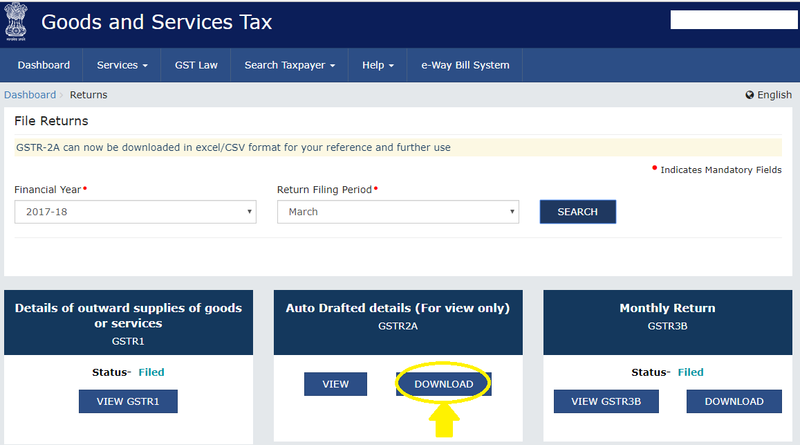 Currently, a taxpayer can download GSTR-2A month-wise only. A taxpayer has to manually reconcile the downloaded GSTR 2A data with their purchase data. This manual matching and reconciling will be time-consuming. Instead, using a recon software or tool will make this task easier. 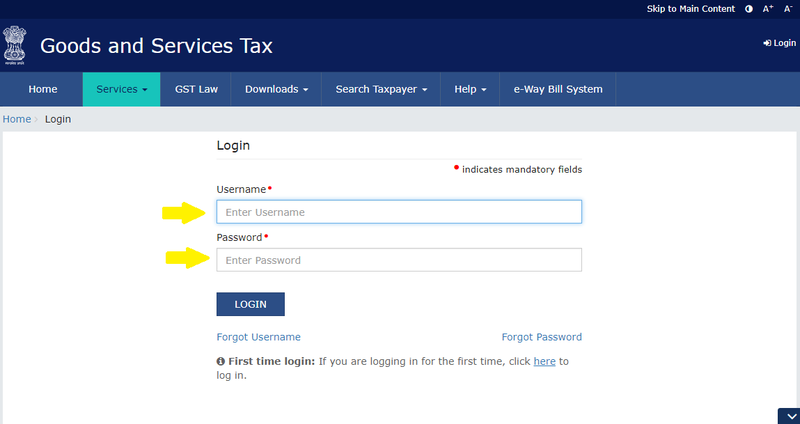 Step – 1 Login to GST portal with your username and password. Step – 2 After logging, select ‘Returns Dashboard’ as shown below. Step -3 Select the month & Financial year for which you want to want GSTR 2A in excel. Click on ‘Download’ tab appearing in ‘Auto Drafted details’ box. Step – 4 On the screen that appears, Click on the button- ‘Generate excel file to download’ to download the file in excel format. Alternatively, click on the button “Generate JSON file to download” to download the file in JSON format. 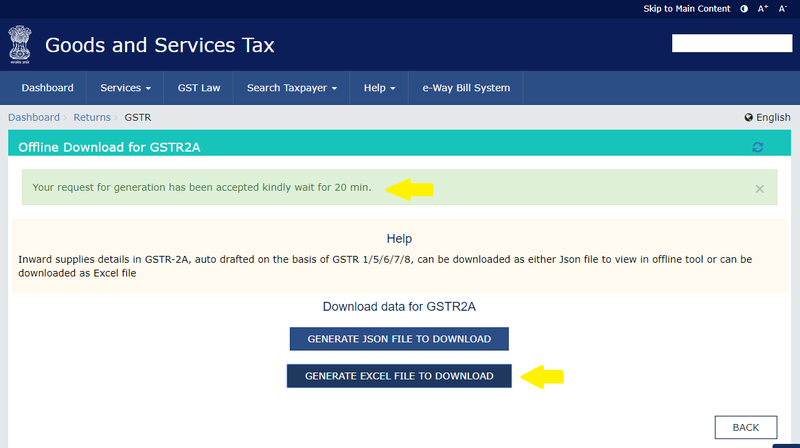 Once you select this option, the portal will take around 20 mins to process your request for GSTR 2A in excel. Step – 5 Once processed, you will see a link ‘Click here to download Excel – File 1’ right below the button ‘Generate excel file to download’. Click on this to download the file. Step – 6 The file will be downloaded in a zipped folder. Make sure that your system has .rar,.zip software to unzip the file. Lastly, unzip the excel file to use GSTR 2A data. 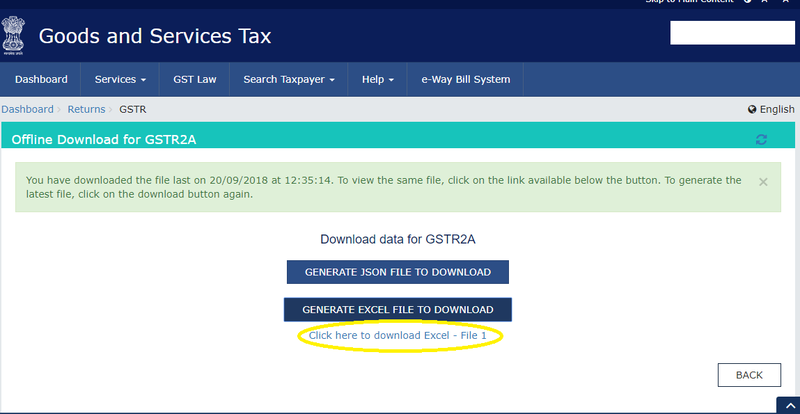 ClearTax GST launched Advanced Reconciliation Tool that comes packed with an inbuilt tool to download GSTR-2A data across different months or for an entire year in a single click. It has the intelligence to auto-identify matches between purchase register and GSTR-2A to suggest matches. This will assure one claims maximum possible ITC and avoid potential notices. Hence, this tool saves a lot of time of the businessmen and CAs doing the reconciliation between GSTR 2A and purchases data at 5X faster speed!